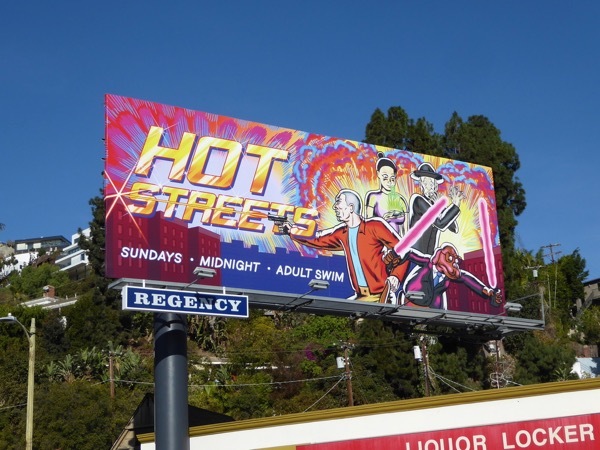 Adult Swim always seems to be able to fill the city skyline with interesting ad creatives and this billboard for their new animated series Hot Streets is no exception (it obviously helps that one of the characters seems to be sporting lightsabers around the release of the latest Star Wars movie). This latest crime-fighting cartoon aimed at grownups created by Brian Wysol follows the supernatural investigations of FBI agent 'Mark Branski', his partner 'Donald French', his niece 'Jen' and her talking dog, 'Chubbie Webbers'. 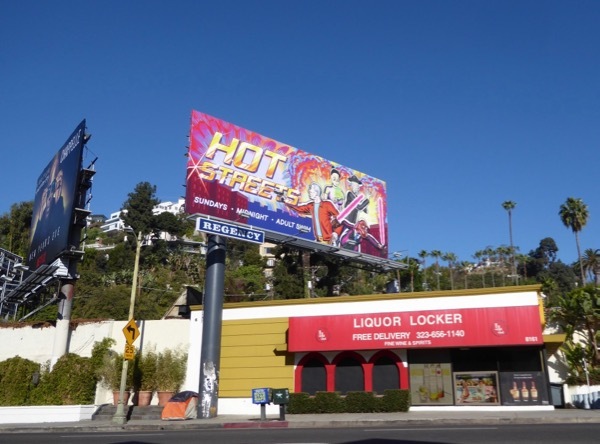 This series launch billboard was snapped along West Hollywood's Sunset Strip on December 27, 2017. 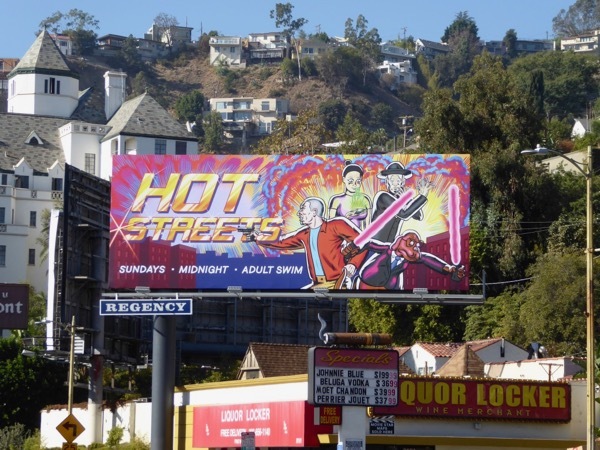 Only time will tell whether Hot Streets will achieve the cult status of shows like Rick and Morty and Robot Chicken, but in the meantime time here's hoping it delivers some insane laughs.